A textile that saves lives and a new colouring method for wool! For that 5th edition, 11 inventions submitted by 13 candidates from six different nationalities were selected. 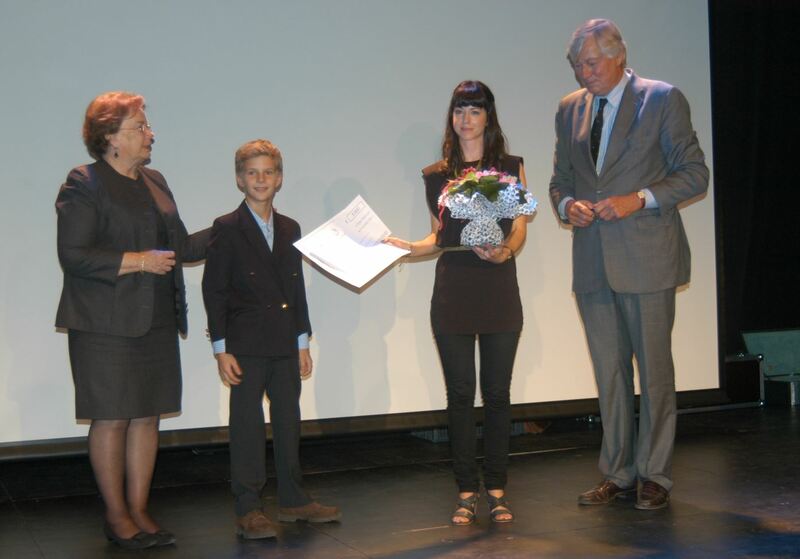 Two of these candidates received the 2013 Textile Innovation Award on Saturday, October 5, 2013 at the tourist resort of Val Joly, located 20 km from Fourmies, the hometown of Théophile Legrand (founder of the wool industry in the 19th century). 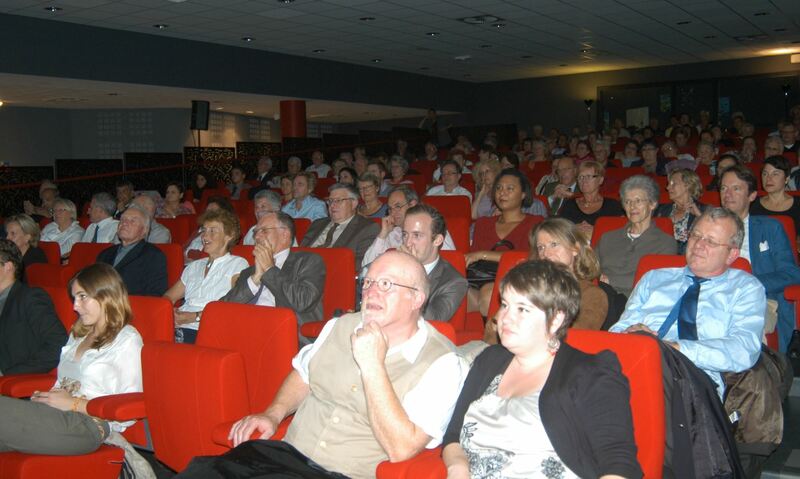 From micro-encapsulated textile with perfume to lifesaver textile; from biodegradable composites based of Alfa fiber from Mohamed Dallel to hybrid textile from Dresden lab in Germany; from enhancement in natural fiber of jute to dynamic electrochromic textiles from Ludivine Meunier, the level of inventions was very high in 2013. 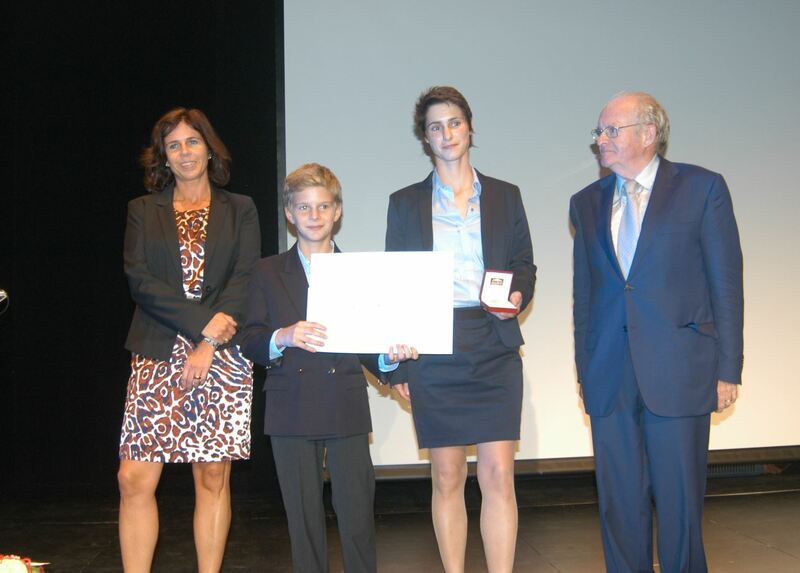 The first Textile innovation award 2013 was delivered to the French national Coralie Marchand, by Emmanuelle Butaud-Stubbs, General Delegate of the Union of Textile Industries of France and Christian Cambier, a descendant of Théophile Legrand; Doctor in Mechanical Laboratory of Physics and Mechanics Textiles (LPMT) from the University of Haute Alsace in Mulhouse and the National School of Engineers in South Alsace (ENSISA), Coralie Marchand is a R & D Engineer for a startup company she has just founded. This young woman has developed a "valve stent" prosthesis in textile fibre (braided stent for percutaneous valve replacement and associated valvular prosthesis) responding to medical issues, particularly in the cardiovascular field. Preclinical validation of this new innovative textile product for the medical world has no equivalent in the world. It offers an alternative to heart surgery, providing then a longer life expectancy to 4 million inoperable patients with heart disease. An invention to save lives! This polyester valve is able to replace the original one located in a person’s heart. It prevents the blood from flowing back into the previous cavities during the blood flow. 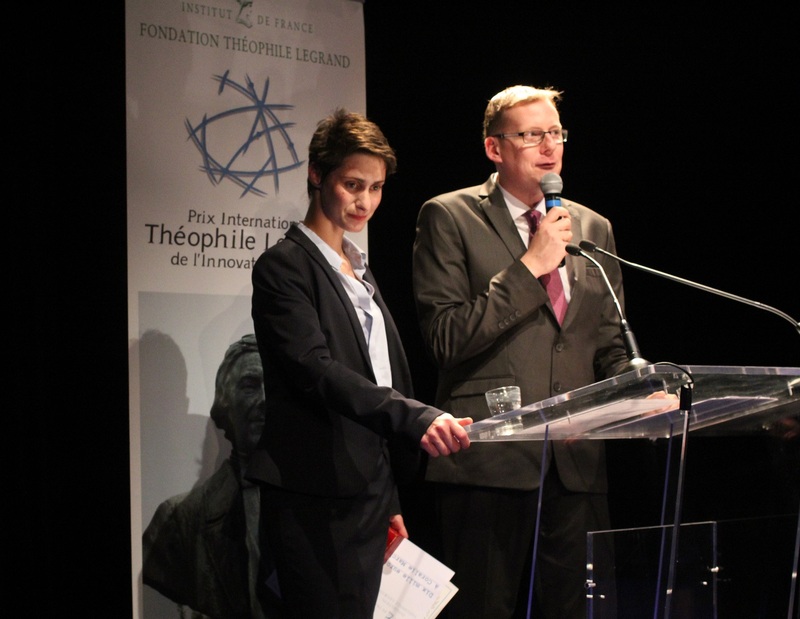 In her speech, Coralie Marchand said: "there are, to this date, alternatives of this valve, but they are either mechanical and require medical treatment for life or biological with a limited lifetime ". The polyester heart valve has none of these drawbacks, as it can be placed by microinvasion that is to say by natural means. "We already use surgical replacement textiles. However, they are generally tubular and non-active, "said the engineer. 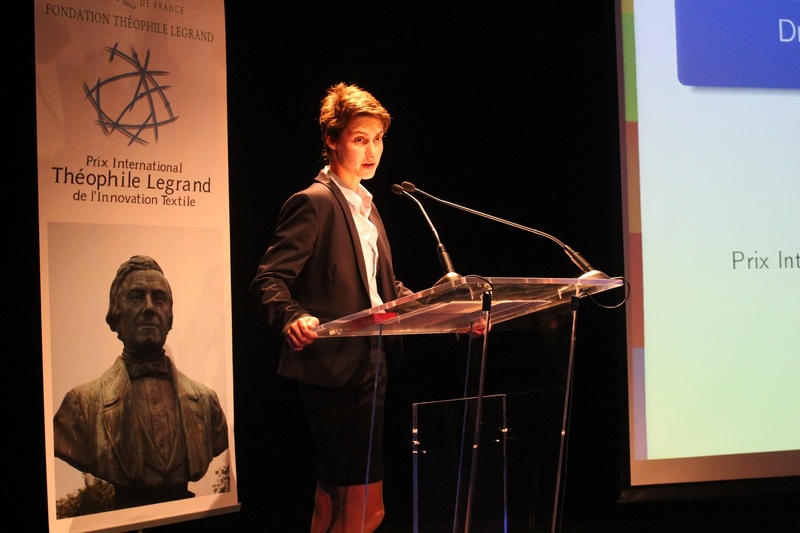 Coralie Marchand explained that "in the case of a valve, it is more complicated because it is necessary to consider the working parameters, wear, and resistance of the implanted prosthesis. With the help of Professor Bernard Durand, director of the laboratory of the University of Haute Alsace in Mulhouse, we managed to get some very promising results and get around obstacles. Our tests are positive. "A start-up was therefore created to raise funds in order to move from the experimental stage to industrial implementation. A breakthrough for the medical world! For obvious confidentiality reasons, it is impossible to learn more and to unveil the secrets of the manufacturing of this new medical textile. Like the applications of the four previous prizewinners (fireproof, auto-refreshing, self-cleaning and decontaminating textiles), this textile fiber prosthesis has not finished being talked about. This is a significant step forward for the medical world and treatment of cardiovascular disease. 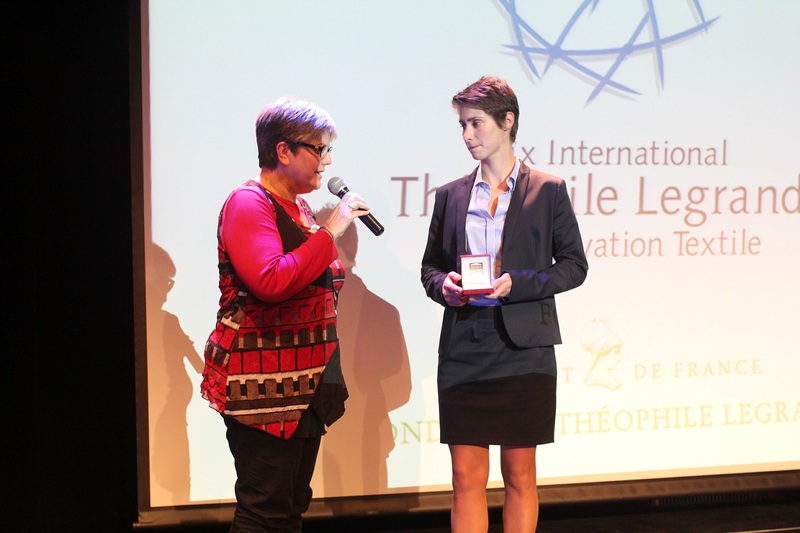 Members of the Foundation and the Institute of France are particularly proud to award the expertise of a French laboratory and the talent of a promising young woman, who by opening her start-up, is involved in the economic development of her country. 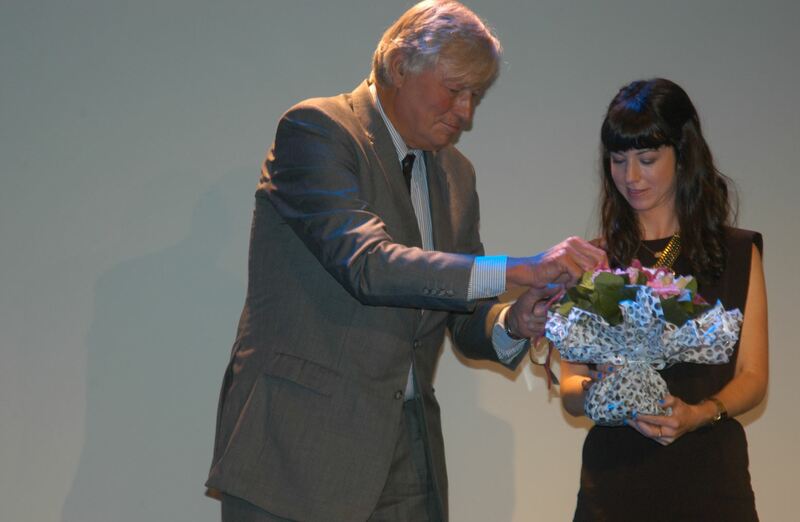 Despite a strong international competition, the project was unanimously elected by experts and members of the jury as: "best textile innovation 2013". 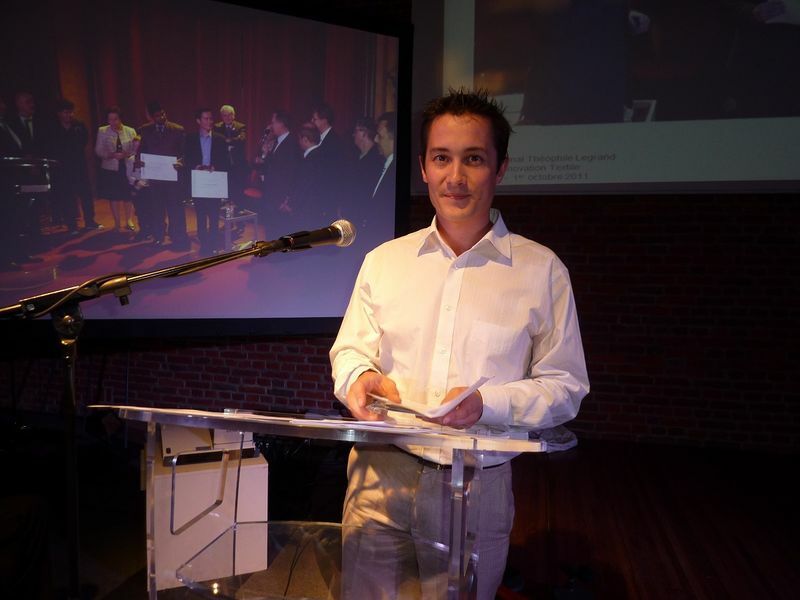 A second Award was for a New Zealander named Fern Kelly of 31 years of age. Fern Kelly graduated from Victoria University in Wellington (New Zealand). 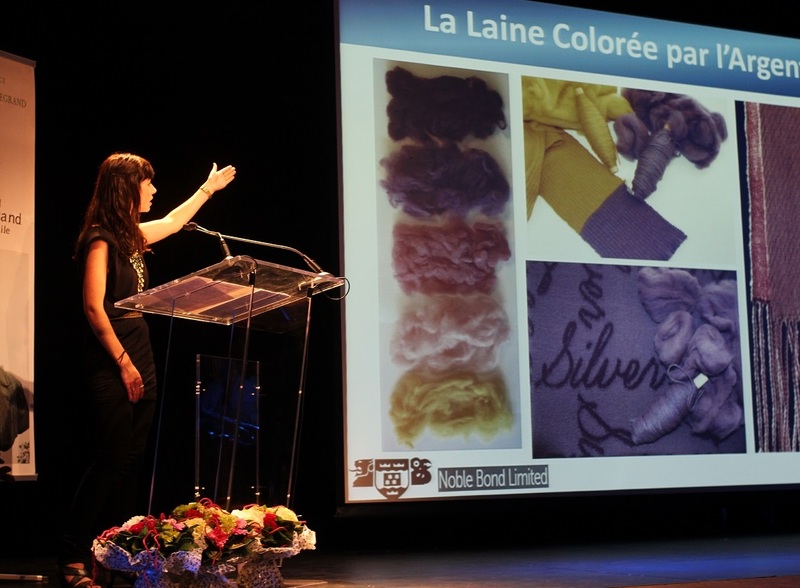 Hired two years ago by the Gemtex laboratory in Roubaix, she has just created her own start-up to produce and market her new method of ecological dyeing for wool with gold and silver nanoparticles. This method gives emergence to a new range of innovative, original, ecological and antibacterial colours, for the creation of high-end clothing (fashion industry, luxury ready to wear) and for luxurious interior furnishing textiles. The resulting antibacterial process will also be developed for the design of clothing in the areas of recreation, environment and medicine. 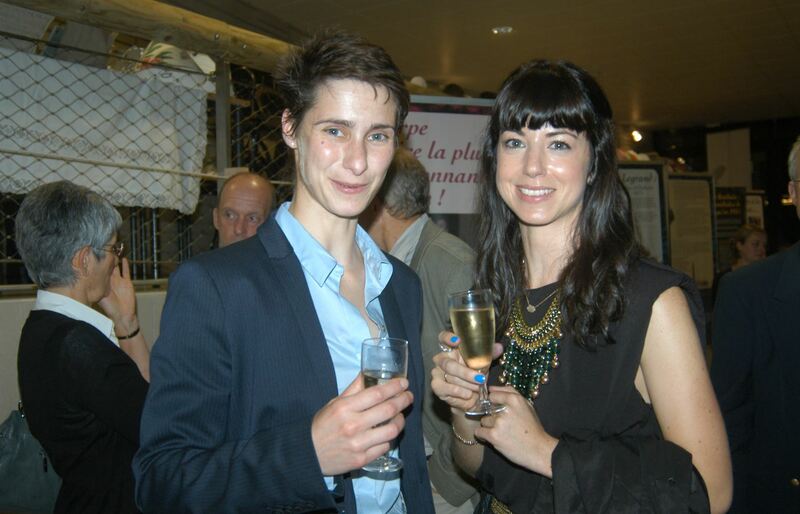 Dr Fern Kelly was congratulated by Dominique Cambier, founder of Théophile Legrand Foundation - Institut de France and Patrice Gallant, President of Clubtex for presenting "an extremely successful scientific process, capable of limiting the negative impacts on the environment, while bringing added value to the wool and other textiles." Beneficial properties for the industry of fashion and luxury! Using dyes based from precious metals (gold and silver), the results are impressive! The dyeing process is environmentally friendly. The waste stream is the equivalent of a "grain of salt". They are non-toxic and water used has at its output a neutral PH. This process allows the creation of a higher quality product and of very high value to new and hard to find colourings (gold or silver combinations, with a very high quality wool> 100% wool). This color has a high UV resistance and will not fade over time (color is not degraded by washing or rubbing). The effectiveness of antibacterial therapy with silver on other tissues, such as hemp and flax; was also tested successfully. Because of the potential of this new technology, the invention has been protected by a patent since 2012 and a start-up company was created to produce and market this new wool dyeing technology. This young company is seeking investors and industrial partners to help develop its offering and its products. 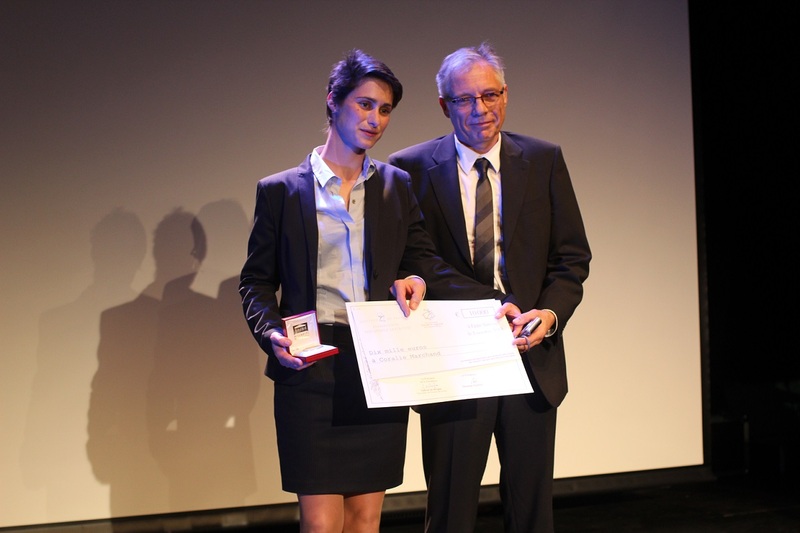 First prize: Coralie Marchand (30 years old - France): Doctor in Mechanics at the Laboratory of Physics and Mechanics Textiles (LPMT) of the University of Haute Alsace in Mulhouse / R & D Engineer, head of a biomedical startup company > Developer of a “valve stent" prosthesis in textile fiber.